In the expansive landscape of fiction, one truth always holds true: if there’s a two characters remotely similar to each other, fans will argue which character would win in a fight. Son Goku and Superman. Batman and Captain America. Dr. Doom and Darth Vader. It doesn’t matter if it’s comic book, cartoon, novel, film, game, or television series. 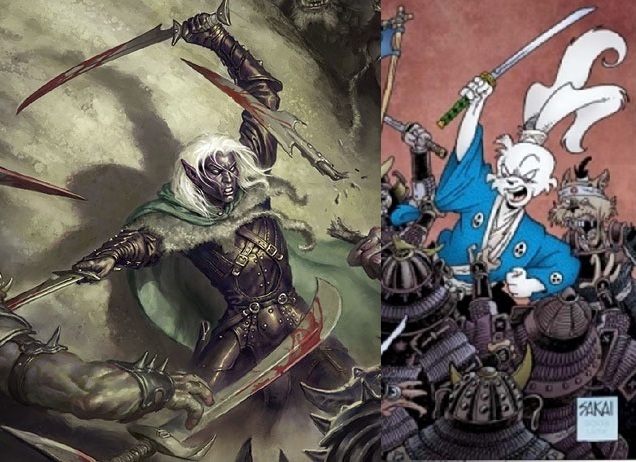 In today’s arena, we have Drizzt Do’Urden of Dungeons and Dragons’ Forgotten Realms and Miyamoto Usagi of Usagi Yojimbo. History: Born to the ninth house of Menzoberranzan Daermon N’a’shezbaernon, or Do’Urden, Drizzt is a rarity among his race: finding disgust in their dedication to betrayal, malice, and corruption. Eventually escaping to the surface world, he would befriend dwarf Bruenor Battlehammer and help him retake his home Mithril Hall becoming one of its finest champions. 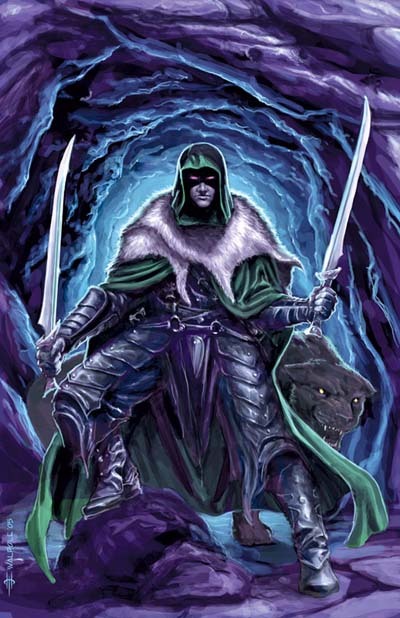 Powers and Abilities: Highly accomplished duel-wielding scimitar fighter, Drizzt employs two magic swords: Icingdeath, a frostbrand weapon, and Twinkle, a defender that detects danger. A skilled ranger, Drizzt is adept at surviving in the wilderness and tracking and can cast up to fourth level Ranger spells. As a Drow, Drizzt has darkvision. Drizzt also carries a figurine of wondrous power, an onyx panther named Guenhwyvar. History: The only son born to his village’s headman, Usagi was sent to the Dogora school of Bujitsu only to instead be the first disciple to Katsuichi, a master swordsman of an unconventional style that abandoned Dogora out of disgust of their dishonorable behavior. Becoming a master swordsman himself, Usagi entered the service of daimyo Lord Mifune only to see his master slain. 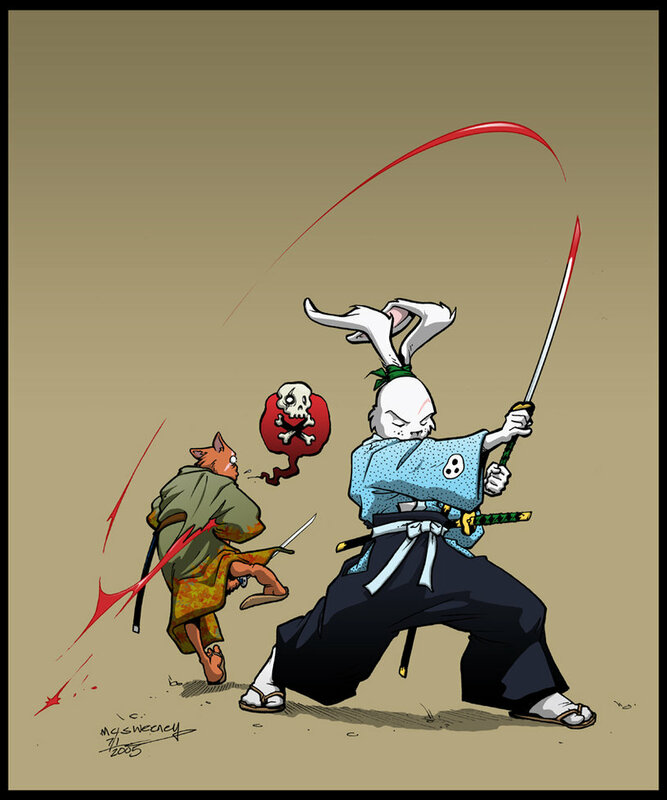 A ronin, Usagi managed to save Mifune’s head from becoming a trophy of war which kept the samurai from having to commit seppuku to regain his honor. 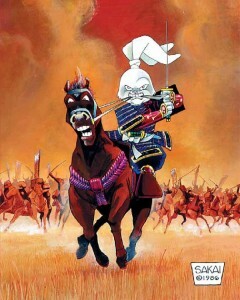 Usagi now travels Japan, often as a Yojimbo. Powers and Abilities: A skilled samurai in the art of niten ichi employing the katana Yagi no Eda and wakizashi Aoyagi, Usagi is one of the most skilled swordsman in all Japan (where Usagi is based on Miyamoto Musashi, reputed as the greatest swordsman to ever live). 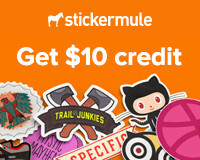 At first glance, this appears to be a one-sided fight. 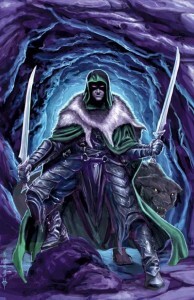 Drizzt has two magic swords, can cast magic, and can summon a panther. There is, of course, also the difference in reach. Whenever Usagi has been adapted outside his book, he’s been displayed as rather diminutive, roughly the size of a child. However, what this may come down to is experience. Drizzt has been featured in twenty one novels across twenty-four years where he’s been involved in dozens of conflicts where Usagi has been in 240 issues over a span of twenty-eight years involved in well over a hundred battles. Regarding the issue of height, while Drizzt would have reach, it’s likely Usagi’s high dexterity could counter this difference and the master samurai would likely employ his height to his advantage to stay in close to prevent Drizzt from using magic or summoning his panther while positioning the Drow warrior so Usagi can hit critical points. 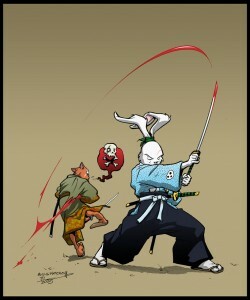 In this battle of dual-wielding master swordsmen, the outcome would be as sharp a line to walk as a razor’s edge, but I’m confidant Usagi would win it more often than not.